Dhar is a place of cultural and historical appeal located in Madhya Pradesh. It has its own significance as one of the most culturally rich destinations. Ruled by the Puaras, this place was a Maratha princely state and acquired the status of a 'Salute State', a sheer royalty during that period. Here is a guide to this historical town. Located approximately 97 km from Dhar town, Bagh Caves are a must visit for tourists coming here. It holds an uncanny resemblance to the Ajanta caves with its painting and sculptures. It is a group of nine monuments that are possibly built by cutting the rocks. Known for the famous mural paintings, the Bagh Caves of Dhar is conveniently known as one of the greatest examples of the India's rock-cut architecture. Just like the famous Ajanta caves, The Bagh caves too have been excavated by craftsmen in the bank of a stream. Most of the inspirations in the Bagh caves are from the Bhagini and the Buddhist lifestyles during the Gupta period. The caves are like viharas or monasteries, with small chambers and a prayer hall. Without any doubt, this place is a must visit for people who love history and archeology. 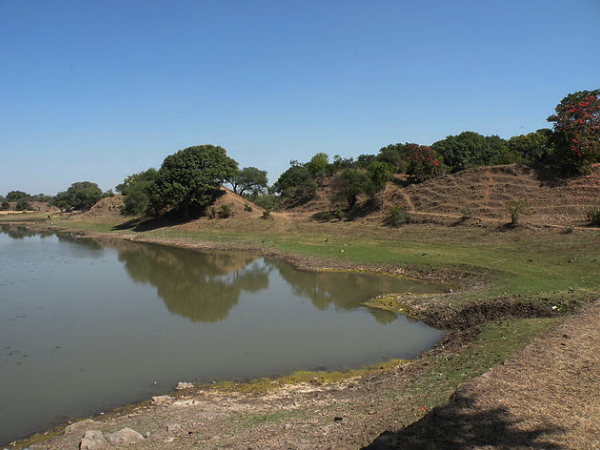 Pithampur is a prominent destination in the Dhar district of Madhya Pradesh. Known for its industries, it is the first largest industrial township of Asia. It houses some of the important small as well as big industries of the country and abroad. The industrial town of Pithampur is divided into 4 sectors and has a special economic zone (SEZ). Pithampur has some of the major vehicle production companies and is also known as the automobile hub of the country. By Air: Devi Ahilyabai Holkar National Airport in Indore happens to be the nearest airport to Dhar. The airport is well connected to all the important cities of the country. By Rail: Dhar does not have a railway station. To reach Dhar, one needs to get off at Indore which is approximately 62km from the industrial town of Dhar. Indore is one of the major railway junctions in Madhya Pradesh and is well-connected to all the major cities of the country. By Road: Dhar is well connected by road to all the major cities in Madhya Pradesh. Madhya Pradesh run MPSRTC buses that connect Dhar to other major towns of the state. Travellers can also fall back on taxis from Indore, Mhow, Ratlam, Ujjain and Bhopal to reach Dhar. So when are you heading to the historical town of Dhar?